After enduring a little over 9 months without oysters, I’m now eating my weight in bivalves in order to make up for those painfully empty days. Or at least, that’s the excuse I’m using. That, and the fact that I’m promoting an oyster book pretty much give me free reign to eat Island Creeks for breakfast, lunch, and dinner if I so please. Just over a year ago, I helped the guys at Island Creek put together an insane oyster tasting that put 18 oysters from both coasts side by side. The tasters included a number of wine experts — the idea was to create a new set of oyster descriptors, a new language that we could use to better describe the complexity of merroir. The tasting was a huge success in that we collected some out-of-this-world terms (lobster butter, shiitake mushrooms, linden flower) and because I still use a lot of the terms regularly when tasting several different oysters in one sitting. It’s the difference between calling a Rocky Nook “salty” (which it is) or saying it has an “olive-like brine.” Or recognizing that the toothsome, beef-like bite of a Moon Shoal is balanced by its brown-sugar finish. These past few weeks, I’ve had the honor of tasting oysters with some fellow journalists who just happened to be interviewing me for the book (ok, so there was usually bubbly involved but, I swear, we were getting work done) and it occurs to me that there are many, many more oysters out there for me to try. Dave, Charlie and I are headed down to Charleston, SC for the Association of Food Journalists conference tomorrow where I’m told I need to get my hands on some Capers Blades (what a killer name). 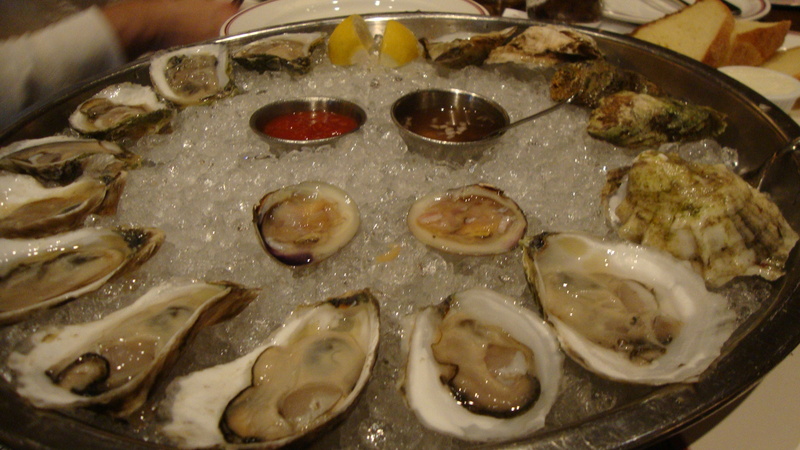 I’ll also be in Philly in November tasting oysters at DiNardo’s and look forward to seeing what’s on their list. The point is, I really need to keep practicing. Like with wine, tasting is the only way to improve the palate. So, this past week, I got back to it with some old favorites: Moon Shoals, Beachpoints, Wellfleets, Belons, and of course, Island Creeks. 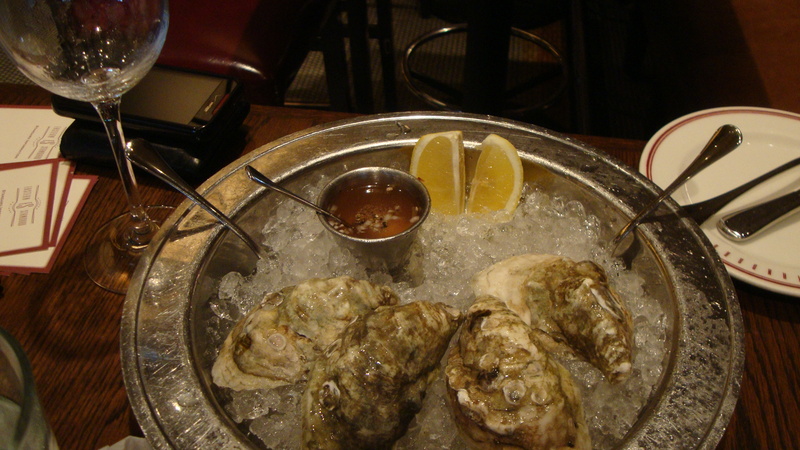 The good news is: I still consider Island Creeks the gold standard of East Coast Oysters… a fact I’m guessing will never change. I like the Peter’s Point/Onset oysters a lot. But I think Moon Shoals are my favorite overall. I’m sure you’ve tried them but you don’t have them listed; East Beach Blondes from Rhode Island are tasty little salt bombs from the coastal ponds of Charlestown. Some of my favorites! Come on down to Eastern L.I. We are growing some great Oysters in Montauk.